Although its manufacturing jobs are gone forever, New York continues to ride the crests of its paper-profits prosperity. Housing in once-notorious slums now costs more than $1.5 million. The waterfront is getting a green-space makeover. The city’s future depends on Wall Street’s ability to attract capital, be it from clients or bailouts. And the jury is still out how the rise and rise of New York reflects on the legacies of former mayors Rudy Giuliani, Ed Koch, and (soon to be former) Michael Bloomberg. While in New York for the last month, I took stock of the city (post Great Recession and post Hurricane Sandy) on a number of bicycle rides, in the company of city-pigeon friends, from Breezy Point in Queens to the northern reaches of the Bronx. Biking around New York is a lot easier now than it was when I last lived in the city, from 1976 to 1991. Bike lanes were nonexistent in those days, the curbs were littered with broken glass, and many potholes were the size of Lake Erie. Thanks to Mayor Michael Bloomberg (a riding friend said, “He’s not pro-bike; he’s anti-car”), the city now has a growing network of dedicated, at least with paint, bike lanes. One runs up First Avenue, another goes from Williamsburg to downtown Brooklyn, and a great one travels the length of the West Side. One of the longer rides took us from midtown Manhattan out to Breezy Point, to see what remains of the beach community that Sandy flooded and burned. From the Queensboro Bridge, we took in Greenpoint and Williamsburg, two of Brooklyn’s hottest neighborhoods (“hot” means rents have tripled and Sunday brunch costs $29), and then meandered through Bedford Stuyvesant, another stop on the gentrification express. In the 1980s, Bed Stuy meant vacant lots and high crime rates. Now it’s a neighborhood of elegant—million dollar plus—brownstones and a growing number of boutiques. At Atlantic and Flatbush avenues, the new Barclay Center, home to the Brooklyn Nets, looms over the tracks of the Long Island Rail Road. I don’t believe in stadiums as anchor tenants in transitional neighborhoods: most of the time they are empty, and when in use they provide jobs only for ushers. Nor do I care much for the center’s rusted-iron exterior; Brooklyn has enough corroded steel. But if it helps to brand Brooklyn as a modern and dynamic city or bring a wine bar to our old Flatbush neighborhood, I will not complain. 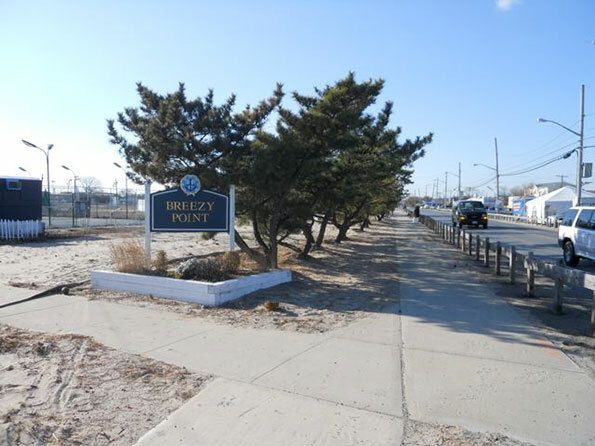 At the southern end of the borough, Breezy Point is the tip of an Atlantic barrier peninsula. As we rode toward Sandy’s ground zero, we passed emergency services checkpoints and many police out on patrol, although the approach is along a desolate road and the community has the feeling of Appalachia-by-the-sea. The bizarre rumor that I heard in the Rockaways is that some residents torched their own houses, as fire insurance covers more damage than that underwritten for hurricanes and floods. Such speculation is impossible to verify, although the media obsession with the beached whales from Sandy—and thus the need for disaster-relief millions—was at odds with what we saw: a beach community suffering after a bad storm but still mostly intact. At the other end of the Rockaways, the more substantial houses came through the storm fine, although many had flooded to their first floors, alas, a hazard that comes from living near the beach and, again, not a national tragedy. Uptown Manhattan neighborhoods never lost power during Sandy, although the Lower East Side, a mix of high-rise apartments and funky restaurants, had some buildings in the dark well into December. Nor did the storm or, for that matter, the Great Recession, sidetrack Harlem’s latest renaissance, which can be seen on many of the area’s roughly 200 blocks. When I was a student at Columbia University in the 1970s, Harlem was overrun with arsonists and drug dealers. Morningside Park, which borders the university, was nicknamed Needle Park. The neighborhood’s proud history as a spawning ground for Jews, Italians, Latinos, and African-Americans was shrouded in the dark waters of abandoned buildings, graffiti, and nighttime sirens. This time, I rode my bike, as if on a lawn mower, up and down the blocks between 110th and 145th streets and was charmed to find so many renovated apartments and brownstones, not to mention restaurants and trendy stores on the avenues. In his elegant history, Harlem, Jonathan Gill quotes Langston Hughes: “I would rather have a kitchenette in Harlem than a mansion in Westchester.” Ed Koch said the same. Sadly, the jazz and night clubs are largely gone, and the Apollo Theater is among the last of its cultural generation still in use. 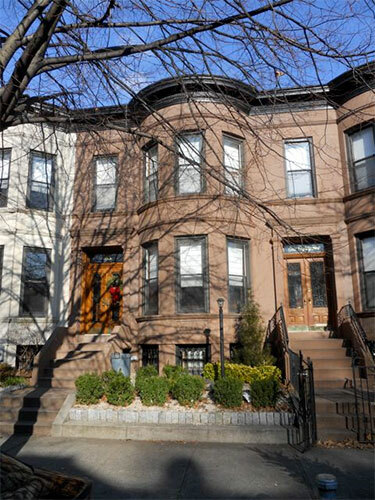 Many longtime Harlem residents are now being priced out of the neighborhood. Nevertheless, the streets around Mount Morris Park (Fifth Avenue and 120th Street) and Striver’s Row (West 137th and 138th streets) are more elegant than many on Manhattan’s East Side. The only thing now being traded in Morningside Park appears to be Pampers. Because I was in New York when Koch died, much of the handlebar conversation, especially as we rode around his Crotona Park birthplace in the Bronx, was about whether he or Rudy Giuliani deserved the most credit for New York’s return from the dead. Not part of the discussion was the mayoralty of David Dinkins, including the legendary three or four showers that he took each day in office. Koch understood that cities rise or fall on questions of confidence or, as he asked rhetorically, “How’m I doin’?” Giuliani, despite his 9/11 heroics, always struck me as having the soul of a TV detective, although with less empathy than Kojak. Bloomberg is praised as being a grown up—competent and capable at managing city affairs, even if he sounds like a shoe salesman. On one subfreezing, windy day I biked the length of the Bronx’s Grand Concourse, stopping to warm up in a hospital waiting room when no Starbucks appeared on the frigid horizon. I loved the Botanical Gardens, but loathed the pretentious new Yankee Stadium, whose $1.5 billion construction budget did little for the South Bronx (hand-lettered signs for game parking probably do not count). The risk of the New York renaissance is that the era of good-feeling is a variation on the bonds for the new stadium. It's something that's funded on Wall Street, which may explain why Harlem brownstones cost $2 million, but the only new jobs in the neighborhood are for part-time clerks at CVS or Dunkin’ Donuts. 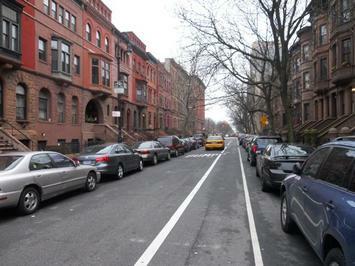 Photos by the author: A bike lane near Mount Morris Park in Harlem; Breezy Point; the author's former home in Brooklyn. Matthew Stevenson, a contributing editor of Harper’s Magazine, is the author of Remembering the Twentieth Century Limited, a collection of historical travel essays. His next book is Whistle-Stopping America. Submitted by Sufyanbashir on Fri, 03/20/2015 - 03:06. Submitted by public on Mon, 10/20/2014 - 02:26. Submitted by best1959 on Sat, 07/12/2014 - 01:57. Submitted by macbooster on Thu, 05/22/2014 - 02:05. Submitted by RaymondMAguero on Fri, 07/04/2014 - 23:48. Submitted by RaymondMAguero on Thu, 06/26/2014 - 12:31. Submitted by greenemily on Fri, 09/27/2013 - 20:11. I think it is certainly such a great feature for the site here. The ability to publish the events on the website is definitely a big plus here. So many ways to get from this feature. Glad you offer it.